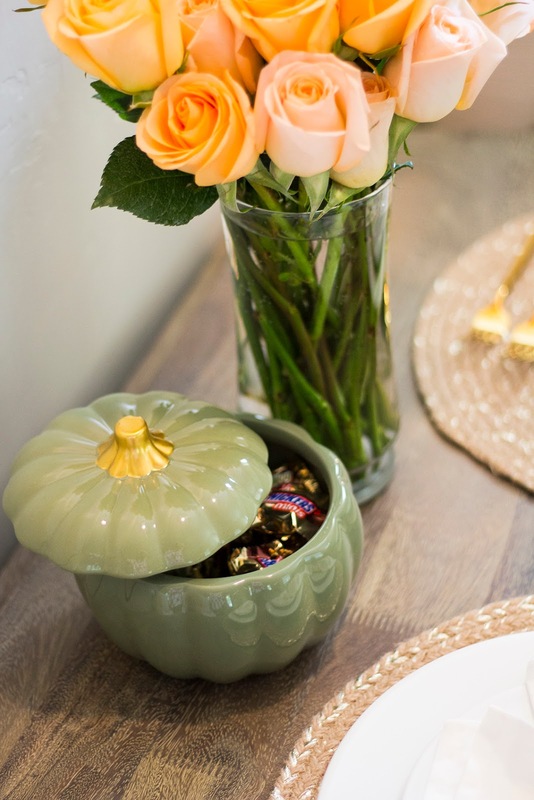 I love decorating for the fall and winter months. The house becomes full of decor that makes it feel so cozy. I have been trying to fill this little corner in the family/dining room for months now. 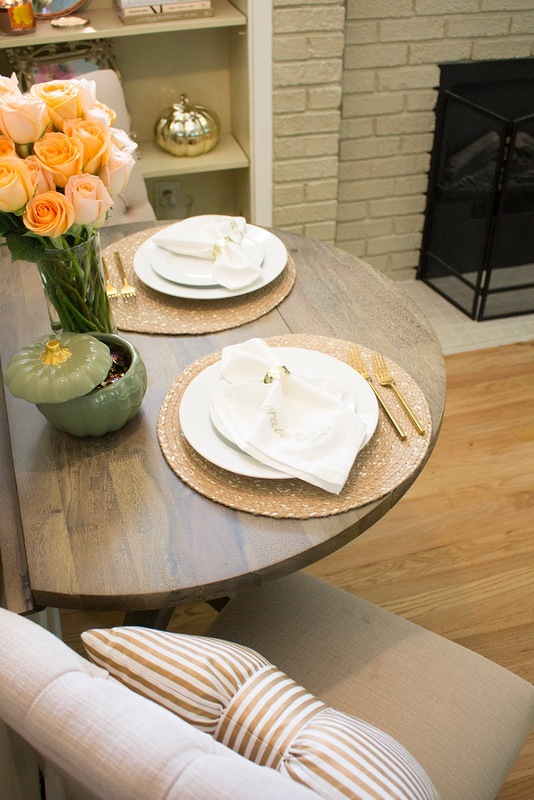 A couple of weekends ago, I decided to fill up the space, purchase a table, and add some light to make it more inviting! 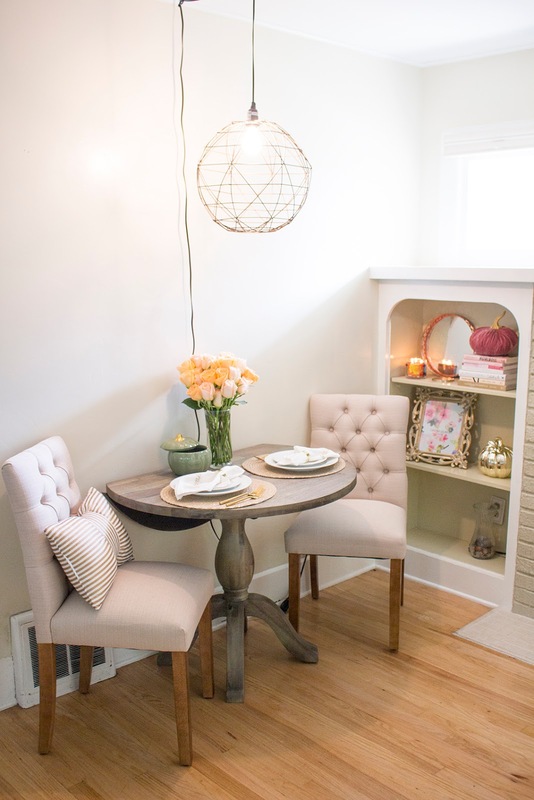 Since the space is very small, I wanted to have the option to maximize the space if needed (i.e., with a leaf or extender), but also minimize the pieces that are there too. 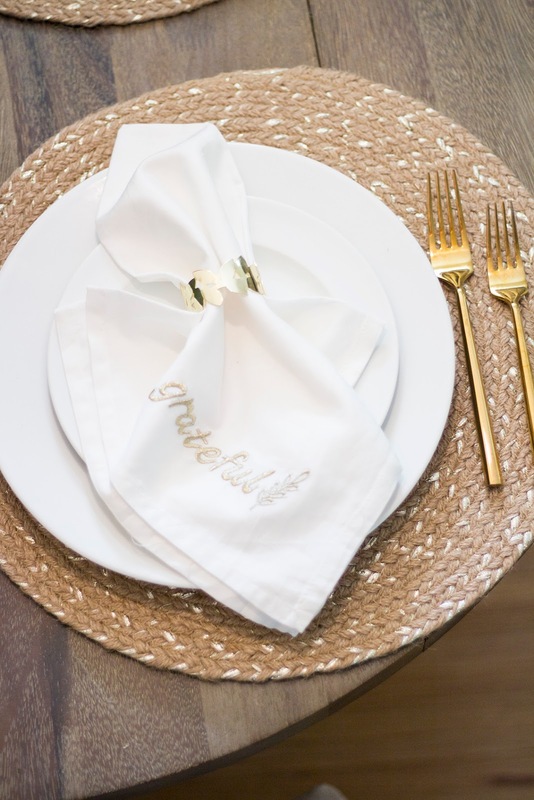 I have so many decor ideas for the holidays, so I'm still on the cusp of decorating! 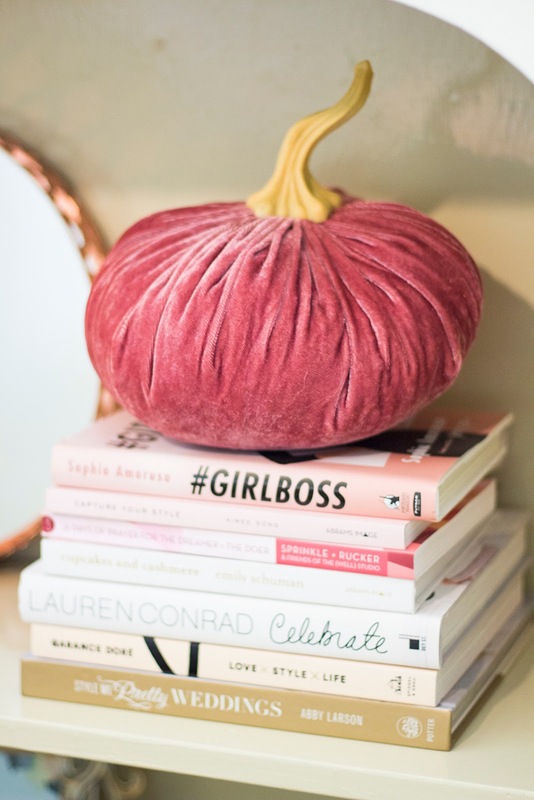 I picked up these velvet pumpkins at Home Goods - they are so "chic" in my opinion. I couldn't help but buy the pink one, it matches everything I have in the house🙈. Home Goods has been my one stop shop for most of my furniture and decor purchases. I find unique pieces at prices that don't break my bank account. Not to mention, they have a lot of designer pieces from brands like Kate Spade and Cynthia Rowley. While shopping, I knew I wanted to find pieces that worked through Thanksgiving so I wouldn't have to switch things out. I've linked all the major pieces below so click through the widget to find what you're looking for! If you have any other great styling tips for fall, share below!